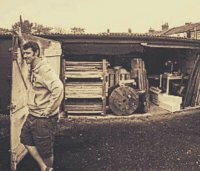 Locally sourced reclaimed timbers alongside the use of high quality pallets provide materials for our products which are treated and finely sanded before becoming a part of something unique and rather special. You can find a review of some of my creations at 101 Pallets.com using web window below. Our laser workshop hosts a large bedded laser cutter with powerful upgraded 80w laser capabilities for high quality and precision engraving and cutting. 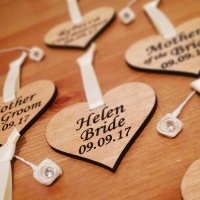 You can see some of our laser art works, wedding products and reclaimed wood engraved products using the links below. 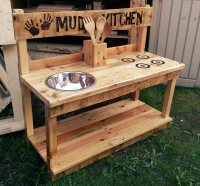 Why not try a pallet project yourself? 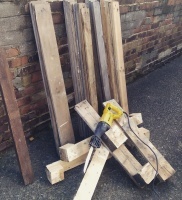 Here's a link for a quick ' HowTo ' tutorial in how to take apart a pallet nice & quick.